http://primitivepathways.com Learn how to make and use your own antler flintknapping tools. 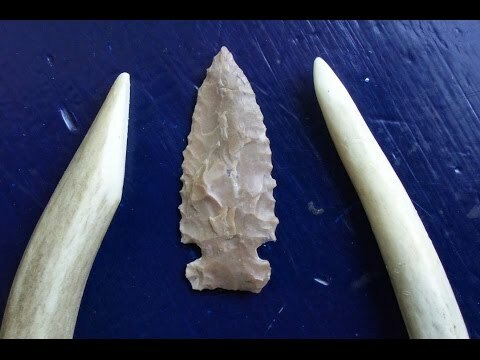 In this video Billy Berger shows you the tools he uses, as well as how to make your own traditional (or "abo") knapping tools from antler. Most knappers use copper today, but in the past antler, bone and hammerstones were the preferred tools of the trade. Though they are more challenging to use, they work exceptionally well once you gain the feel of how they work. This video was requested by several people including Bobby Adams, so this is for you!